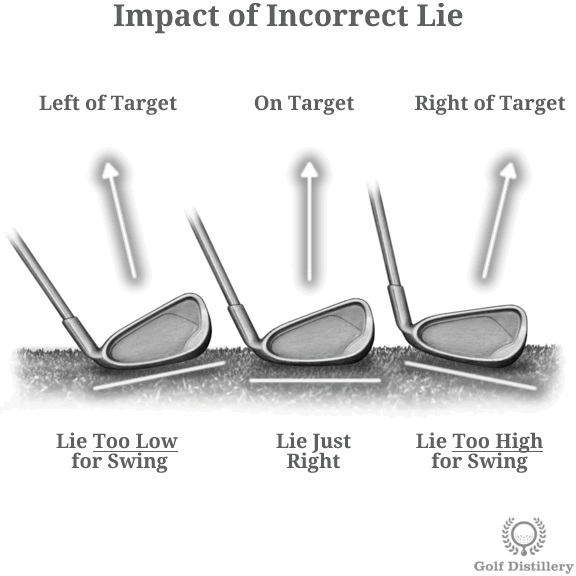 The lie of a club corresponds to the angle formed by the line of the shaft and the line of the ground. 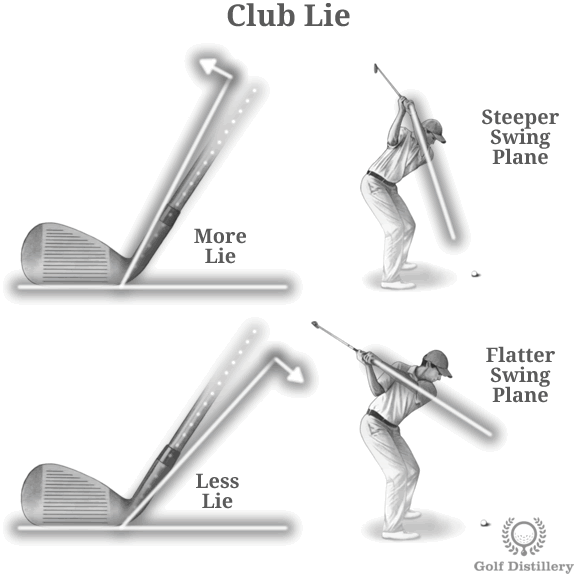 A club with more lie will see its shaft pointing towards the ground at a steeper angle than a club with less lie. The lie of a club in turn impacts how steep a swing is. Indeed, a club with a high lie angle will see the golfer standing closer to the ball than one with a lower lie ange. 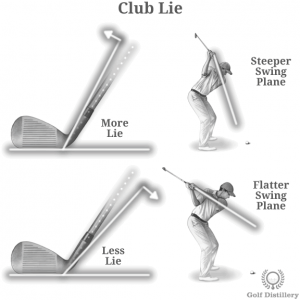 Therefore, the swing using a high lie club will be steeper than one with a club with a low lie angle. You should take into careful consideration the effects of hitting a shot with a lie angle that distorts how the clubhead lies on the ground. In order to hit straight shots, or at least to be able to control how you shape your shots, the leading edge of the club should be flat against the ground as it penetrates it. If lie adjustments are made that see the leading edge coming in at an angle at impact – rather than flat – the direction of the ball will be altered. 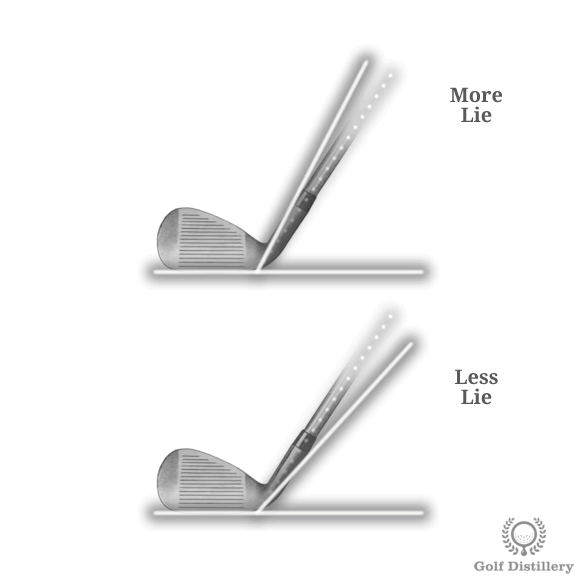 Indeed, if the lie is too steep and the toe strikes the ground more than the heel the ball will tend to go right. Similarly, if the lie is too low and the heel strikes the ground more than the toe the ball will tend to go left. These scenarios highlight how important it is to get fitted when buying golf clubs so that the correct lie angle is selected for your set of clubs, i.e., one that is in line with the swing plane that your clubs travel on.